My Dream Camera has Arrived. I got my Canon 5D Mark III. Yeah Baby! My dream camera-I finally get to give my Canon 5D Mark III Review. I anxiously waited for 5 years for Canon to come up with a souped-up version of the original Canon 5d that had everything I wanted. 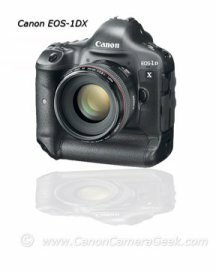 There were several specific things I was looking for in a professional DSLR from Canon. Advanced autofocus system,similar to the pro Canon EOS 1d series. Dual memory card systems, I love this feature. I started with the EOS line when I purchased the original Canon 10d, followed by the 20d and then the 5d in 2007. I usually don't buy a new camera with every single ugrade Canon does. I skip 1 or 2 versions just like I do with Adobe Photoshop, Lightroom and other software upgrades. I have always preferred the comfortably sized 7d, 10d, 20d, and 5d series than the bulkier and pricier 1D series of cameras. You can see in the photo below how the Canon Eos-1Dx is quite a bit larger than the 5d. The 5D Mark III does have the option of getting the Canon BG-E11 Battery Grip if you want the extra fire power and the vertical-shooting control features. Really fast a 6 frames per second make this a legitimate professional sports and wildlife camera. Dual Memory card slots. I shot an entire soccer league and never had to stop and change cards even though I shot 3 or 4 frames on each pose. Here is an article on how to set your 5D Mark III to get High Speed Sync flash with a 270 EX II Speedlite. The Mark iii camera can also shoot in HDR and has built-in chromatic aberration correction. Before I had my Mark iii I was able to fulfill one of my dreams and take some Canon 5D photos of Yosemite back in 2011. Still a full-featured DSLR and in high demand but a whole lot cheaper than the camera reviewed here in this Canon 5D Mark III Review is the Canon T3 camera. A big step up from the T3, T3i and T4i but more affordable is the still popular replacement for the 50D is the Canon EOS 60D Camera. Now that I've had this camera for quite some time, my favorite feature is the high ISO noise levels. I can shoot great portraits in really low light level situations.